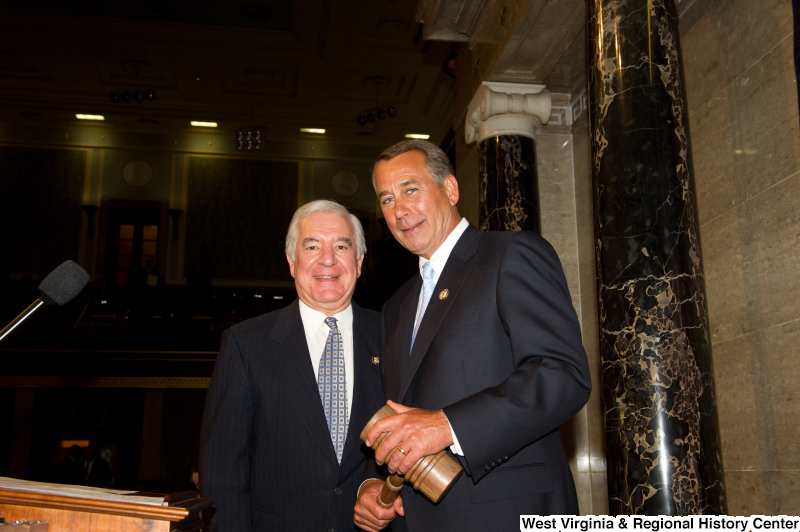 Standing on the House floor are Congressman Rahall and John Boehner, who holds a gavel. 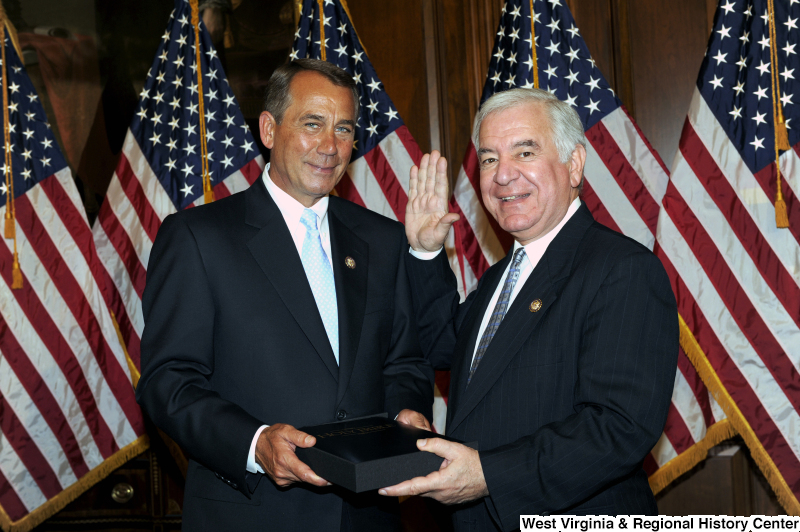 Congressman Rahall poses at a ceremonial swearing-in with John Boehner. 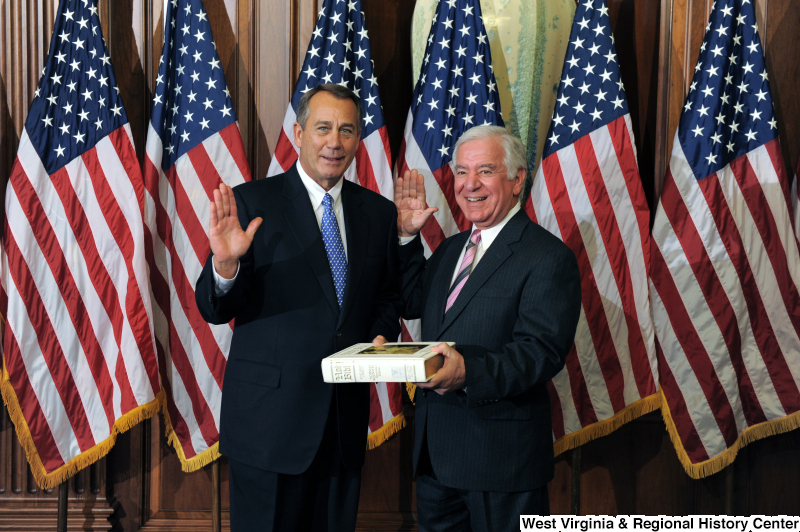 Congressman Rahall and John Boehner pose at a ceremonial swearing-in.